We are free because we are Catholic. Join with us to save the West! A Catholic and Royal Army? In America? One of the single most profound tragedies of our modern era with its non-divine and erroneous dogma of moral and religious relativism is that one may no longer defend a belief, much less a religion. If no one can really know truth, and, therefore, no one religion may claim to have the truth, then “defending” one’s belief in the public square or in the cultural debates is akin to naively, and arrogantly, “forcing one’s personal beliefs” on others. To virtually everyone one meets walking down the street, including, sadly, the vast majority of Catholics in America, the propositions above are sacrosanct and beyond repudiation. This is, after all, what “freedom” is all about, n’est-ce pas? What inevitably fails to be understood in the dialogue is that culture reflects the belief systems of a society. There may be “separation of Church and State” (whatever that really means), but there cannot be “separation of Church and Culture.” How one believes shapes how one acts and views the world. How individuals, with those actions and world views, associate with each other shapes a society’s culture in the public realm. 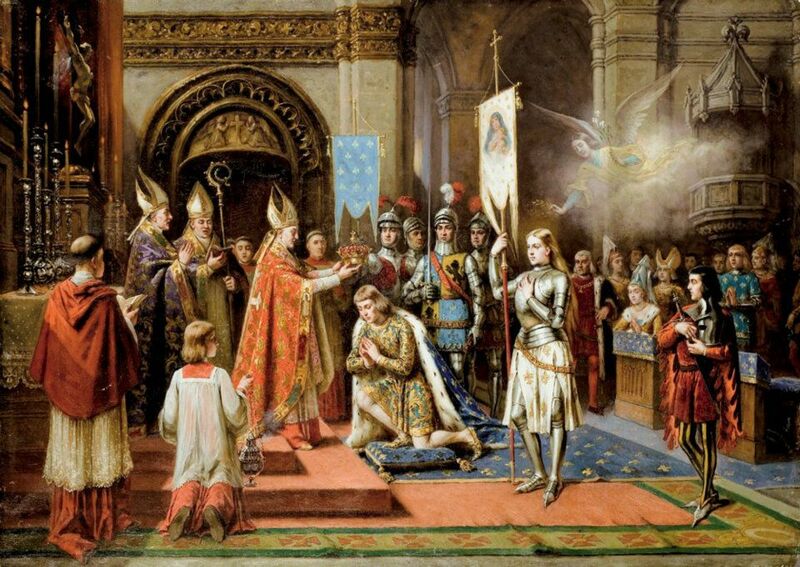 The reason ancient Christendom’s culture reflected God was that the people of ancient Christendom believed in God. The reason modern culture reflects the vulgarity and blasphemy of self-worship is that the people of the modern culture believe in themselves. To tell the religiously minded that they should stay out of public view simply reflects the dominance of a secular atheistic world view that is antagonistic to religion. It is not a “neutral” society nor is it a “free” society. It is one world view dominating another, as is always the case. There is no escaping it. Thus, to be told to “keep one’s religious views to oneself” in the public discussion is to be told that anti-religion is the dogmatic facilitator for public debate. To be a religious person and to agree with that is to simply surrender the battle and even to surrender one’s faith. Western Civilization was built by the Catholic Church. The glories, grandeur, intellectual development, sciences, philosophies, art, and architecture of the West were grounded in a Catholic world view. Western civilization is a Catholic civilization. To agree to “keep one’s religion to one’s self” and to “keep religion out of the public debate” is to surrender the entire of Western Civilization to the non-divine dogma of secularism. In other words, it is the end of civilization as we know it. The Catholic and Royal Army of America (CRAA) is a call for an organized political, social, and cultural resistance to the unlawful and blasphemous occupation of our land and of Western Civilization in general by the impious and vulgar secular atheists. It is a call for a counter-revolution to upend and overturn the primordial Revolution against man and the Kingdom of God that is no more than spiritual anarchy and a new Dark Age. The CRAA is inspired by the Armée Catholique et Royale of the Bocage Vendée region of France during the French Revolution who fought valiantly against the atheistic Revolution and for their faith, their Church, and their Monarchy. S.T. Martin est un membre de la guilde d’auteurs catholique. Il est un éducateur et un laïc catholique. Il est très dévoué et consacré aux sainte Jehanne d’Arc et sainte Thérèse de l’Enfant Jésus. S.T. Martin habite en Amérique. Rejoignez La Colombe et La Rose sur Facebook! Consécration à la Vierge Marie – très importante! Comment pouvez-vous aider l’armée catholique et royale d’Amerique? Rejoignez sur Facebook! Visitez Jehanne et Thérèse sur YouTube! Jehanne et Thérèse sur Pinterest! The central truth of our existence. Jesus Christ truly and substantially present in the Eucharist and given us as our life saving grace through the Mass. If you get that, you get what SJST is all about. Joan of Arc – Maid of Heaven – excellent resource! Littlest Souls – Very inspiring Catholic quotations! What is the best and highest form of government? Do you support a Catholic Monarchy for the United States? How devoted are you to St. Joan of Arc? How devoted are you to St. Thérèse of Lisieux? The Catholic and Royal Army of America – Join the American Counter-Revolution! Fleur-Darc, a one-volume compilation of S.T. Martin’s first five books below and published under his real name, Walter Adams. For those interested in all of S.T.’s writings, this book is a must have! Want a sneak peak of Fleur-Darc? Want a sneek peak of Journey to Christendom? Want a sneek peak of Seek First the Kingdom? Want a sneek peak of Testament for Love? Want a sneek peak of Little Flowers and Fiery Towers? Want a sneek peak of The Dove and Rose? Also find these titles in many e-book formats (including Kindle) on Smashwords. Looking for a St. Joan of Arc Chaplet? Looking for a St. Thérèse Chaplet? Check out St. Joan and St. Thérèse on Gloria.tv! Are you ready to Tumble? Connect with St. Joan and St. Thérèse on Tumblr! Visit S.T.’s second blog, “Fleur-Darc,” dedicated to his newest book! A one volume compilation of all five of his books, published under his real name, and at a discounted price compared to buying all individually. Curious? Click below to check out “Fleur-Darc” and more of S.T.’s writings. Theme: Customized Twenty Ten Blog at WordPress.com.